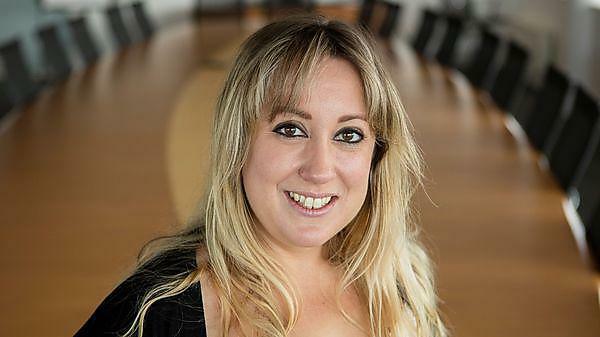 "Studying at Plymouth dramatically changed my career direction ... The support, people, resources and location all contributed to my achievement of a distinction and place on the Deans List for 2016. I have made many connections in the industry I now work in and get to see the theory I've acquired working in practice." What did you study and what are you doing now? I completed the MA in Human Resource Management, last year, 2016. I am now work for Cornwall Council in the HR Department as a Resourcing Advisor . What did you most enjoy about MA Human Resource Management (HRM)? I enjoyed the variety of the course and how it was assessed, we had exams and presentations and the business game which was really interesting. The lecturers were very supportive, really approachable and they delivered the lectures really well. The class was a mix of full-time and part-time people and I think the variety and diversity of the people was a really good thing as we were all willing to share really different opinions to build on what we were learning. Why did you chose Plymouth University? I live in Penzance and the only thing that made it viable was that it was only two days a week, 12- 6pm which meant I could get the train and fit it around my life. I did my undergraduate degree in Business at Cornwall College in Camborne and would really recommend coming to Plymouth University. I actually got the scholarship to do the Masters at Plymouth University. What would you say to someone considering coming to Plymouth University to study the MA HRM? I have said to people already that they should consider it because of the experience, especially people in Cornwall as you don’t really get that university experience down here. It is a really enjoyable course that opens doors for you, people really recognise it, and it has been really good. How did you find out about the Future of HR event? I found out through the LinkedIn from Jasmine Kelland the MA HRM lecturer that shared it. What has been your highlight of the Future of HR so far? A number of things actually, but what caught my eye was the fact that Peter Cheese (CIPD Chief Executive) was here and being able to hear him speak, and also coming back to Plymouth and seeing some of the people who I have studied with and who taught me. And I love Plymouth anyway. I was released from work to come because they wanted me to feedback on what I have learnt today, so I have been making lots of notes and I am really looking forward to presenting this back to my team. The best time of my career is happening right now! I handed in my dissertation and started a new job 3 days later. I have just achieved a promotion in 11 months, an exceptional performance review and an employee award nomination. I'm getting recognition for my efforts and gaining job satisfaction whilst my career progresses. I think I would have given myself more time to read and start working on my assignments sooner to try to ease the stress! You think you have a plan but things tend to crop up and then you find yourself really up against the clock! Having only studied at Plymouth for my Postgraduate year and living a two hour commute away I must say I wasn't able to take up many support services on offer. My main support were my lecturers and peers, and I found the library service and Moodle provided invaluable resources. Studying at Plymouth dramatically changed my career direction. After achieving my business degree I felt that I wanted to specialise in a particular area, and after meeting with Jasmine Kelland at Plymouth University to discuss MA HRM, I was convinced of my decision. The support, people, resources and location all contributed to my achievement of a distinction and place on the Deans List for 2016. I have made many connections in the industry I now work in and get to see the theory I've acquired working in practice.